This reference topic for IT professionals describes the default local user accounts for servers, including how to manage these built-in accounts on a member or standalone server. Local user accounts are stored locally on the server. These accounts can be assigned rights and permissions on a particular server, but on that server only. Local user accounts are security principals that are used to secure and manage access to the resources on a standalone or member server for services or users. For information about security principals, see Security Principals. The default local user accounts are built-in accounts that are created automatically when you install Windows. After Windows is installed, the default local user accounts cannot be removed or deleted. In addition, default local user accounts do not provide access to network resources. Default local user accounts are used to manage access to the local server’s resources based on the rights and permissions that are assigned to the account. The default local user accounts, and the local user accounts that you create, are located in the Users folder. The Users folder is located in the Local Users and Groups folder in the local Computer Management Microsoft Management Console (MMC). Computer Management is a collection of administrative tools that you can use to manage a single local or remote computer. For more information, see How to manage local accounts later in this topic. Default local user accounts are described in the following sections. The default local Administrator account is a user account for the system administrator. Every computer has an Administrator account (SID S-1-5-domain-500, display name Administrator). The Administrator account is the first account that is created during the Windows installation. The Administrator account has full control of the files, directories, services, and other resources on the local computer. The Administrator account can create other local users, assign user rights, and assign permissions. The Administrator account can take control of local resources at any time simply by changing the user rights and permissions. The default Administrator account cannot be deleted or locked out, but it can be renamed or disabled. In Windows 10 and Windows Server 20016, Windows setup disables the built-in Administrator account and creates another local account that is a member of the Administrators group. Members of the Administrators groups can run apps with elevated permissions without using the Run as Administrator option. Fast User Switching is more secure than using Runas or different-user elevation. By default, the Administrator account is installed as a member of the Administrators group on the server. It is a best practice to limit the number of users in the Administrators group because members of the Administrators group on a local server have Full Control permissions on that computer. The Administrator account cannot be deleted or removed from the Administrators group, but it can be renamed. Because the Administrator account is known to exist on many versions of the Windows operating system, it is a best practice to disable the Administrator account when possible to make it more difficult for malicious users to gain access to the server or client computer. You can rename the Administrator account. However, a renamed Administrator account continues to use the same automatically assigned security identifier (SID), which can be discovered by malicious users. For more information about how to rename or disable a user account, see Disable or activate a local user account and Rename a local user account. As a security best practice, use your local (non-Administrator) account to sign in and then use Run as administrator to accomplish tasks that require a higher level of rights than a standard user account. Do not use the Administrator account to sign in to your computer unless it is entirely necessary. For more information, see Run a program with administrative credentials. In comparison, on the Windows client operating system, a user with a local user account that has Administrator rights is considered the system administrator of the client computer. The first local user account that is created during installation is placed in the local Administrators group. However, when multiple users run as local administrators, the IT staff has no control over these users or their client computers. In this case, Group Policy can be used to enable secure settings that can control the use of the local Administrators group automatically on every server or client computer. 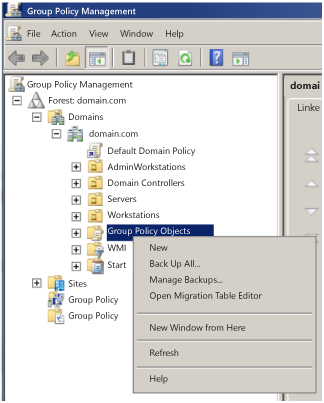 For more information about Group Policy, see Group Policy Overview. Blank passwords are not allowed in the versions designated in the Applies To list at the beginning of this topic. Even when the Administrator account has been disabled, it can still be used to gain access to a computer by using safe mode. In the Recovery Console or in safe mode, the Administrator account is automatically enabled. When normal operations are resumed, it is disabled. The Guest account is disabled by default on installation. The Guest account lets occasional or one-time users, who do not have an account on the computer, temporarily sign in to the local server or client computer with limited user rights. By default, the Guest account has a blank password. Because the Guest account can provide anonymous access, it is a security risk. For this reason, it is a best practice to leave the Guest account disabled, unless its use is entirely necessary. By default, the Guest account is the only member of the default Guests group (SID S-1-5-32-546), which lets a user sign in to a server. On occasion, an administrator who is a member of the Administrators group can set up a user with a Guest account on one or more computers. When enabling the Guest account, only grant limited rights and permissions. For security reasons, the Guest account should not be used over the network and made accessible to other computers. In addition, the guest user in the Guest account should not be able to view the event logs. After the Guest account is enabled, it is a best practice to monitor the Guest account frequently to ensure that other users cannot use services and other resources, such as resources that were unintentionally left available by a previous user. 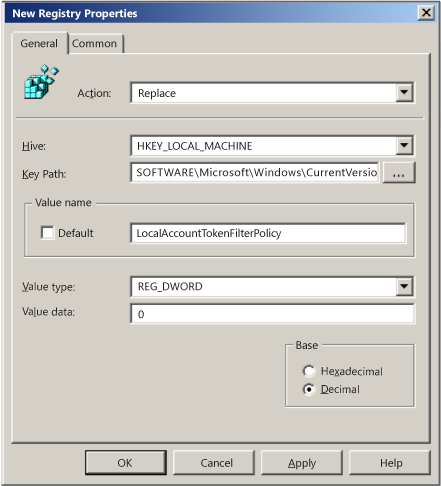 The DefaultAccount, also known as the Default System Managed Account (DSMA), is a built-in account introduced in Windows 10 version 1607 and Windows Server 2016. The DMSA is a well-known user account type. It is a user neutral account that can be used to run processes that are either multi-user aware or user-agnostic. The DMSA is disabled by default on the desktop SKUs (full windows SKUs) and WS 2016 with the Desktop. The DMSA is a member of the well-known group System Managed Accounts Group, which has a well-known SID of S-1-5-32-581. The DMSA alias can be granted access to resources during offline staging even before the account itself has been created. The account and the group are created during first boot of the machine within the Security Accounts Manager (SAM). From a permission perspective, the DefaultAccount is a standard user account. The DefaultAccount is needed to run multi-user-manifested-apps (MUMA apps). MUMA apps run all the time and react to users signing in and signing out of the devices. Unlike Windows Desktop where apps run in context of the user and get terminated when the user signs off, MUMA apps run by using the DSMA. MUMA apps are functional in shared session SKUs such as Xbox. For example, Xbox shell is a MUMA app. Today, Xbox automatically signs in as Guest account and all apps run in this context. All the apps are multi-user-aware and respond to events fired by user manager. The apps run as the Guest account. Similarly, Phone auto logs in as a “DefApps” account which is akin to the standard user account in Windows but with a few extra privileges. Brokers, some services and apps run as this account. In the converged user model, the multi-user-aware apps and multi-user-aware brokers will need to run in a context different from that of the users. For this purpose, the system creates DSMA. If the domain was created with domain controllers that run Windows Server 2016, the DefaultAccount will exist on all domain controllers in the domain. If the domain was created with domain controllers that run an earlier version of Windows Server, the DefaultAccount will be created after the PDC Emulator role is transferred to a domain controller that runs Windows Server 2016. The DefaultAccount will then be replicated to all other domain controllers in the domain. Microsoft does not recommend changing the default configuration, where the account is disabled. There is no security risk with having the account in the disabled state. Changing the default configuration could hinder future scenarios that rely on this account. The SYSTEM account is used by the operating system and by services that run under Windows. There are many services and processes in the Windows operating system that need the capability to sign in internally, such as during a Windows installation. The SYSTEM account was designed for that purpose, and Windows manages the SYSTEM account’s user rights. It is an internal account that does not show up in User Manager, and it cannot be added to any groups. On the other hand, the SYSTEM account does appear on an NTFS file system volume in File Manager in the Permissions portion of the Security menu. By default, the SYSTEM account is granted Full Control permissions to all files on an NTFS volume. Here the SYSTEM account has the same functional rights and permissions as the Administrator account. To grant the account Administrators group file permissions does not implicitly give permission to the SYSTEM account. The SYSTEM account's permissions can be removed from a file, but we do not recommend removing them. The NETWORK SERVICE account is a predefined local account used by the service control manager (SCM). A service that runs in the context of the NETWORK SERVICE account presents the computer's credentials to remote servers. For more information, see NetworkService Account. The LOCAL SERVICE account is a predefined local account used by the service control manager. It has minimum privileges on the local computer and presents anonymous credentials on the network. For more information, see LocalService Account. The default local user accounts, and the local user accounts that you create, are located in the Users folder. The Users folder is located in Local Users and Groups. For more information about creating and managing local user accounts, see Manage Local Users. You can use Local Users and Groups to assign rights and permissions on the local server, and that server only, to limit the ability of local users and groups to perform certain actions. A right authorizes a user to perform certain actions on a server, such as backing up files and folders or shutting down a server. An access permission is a rule that is associated with an object, usually a file, folder, or printer. It regulates which users can have access to an object on the server and in what manner. You cannot use Local Users and Groups on a domain controller. However, you can use Local Users and Groups on a domain controller to target remote computers that are not domain controllers on the network. You can also manage local users by using NET.EXE USER and manage local groups by using NET.EXE LOCALGROUP, or by using a variety of PowerShell cmdlets and other scripting technologies. An administrator can use a number of approaches to prevent malicious users from using stolen credentials, such as a stolen password or password hash, for a local account on one computer from being used to authenticate on another computer with administrative rights; this is also called "lateral movement". The simplest approach is to sign in to your computer with a standard user account, instead of using the Administrator account for tasks, for example, to browse the Internet, send email, or use a word processor. When you want to perform an administrative task, for example, to install a new program or to change a setting that affects other users, you don't have to switch to an Administrator account. You can use User Account Control (UAC) to prompt you for permission or an administrator password before performing the task, as described in the next section. Enforce local account restrictions for remote access. Deny network logon to all local Administrator accounts. Create unique passwords for local accounts with administrative rights. Each of these approaches is described in the following sections. These approaches do not apply if all administrative local accounts are disabled. The User Account Control (UAC) is a security feature in Windows that has been in use in Windows Server 2008 and in Windows Vista, and the operating systems to which the Applies To list refers. UAC enables you to stay in control of your computer by informing you when a program makes a change that requires administrator-level permission. UAC works by adjusting the permission level of your user account. By default, UAC is set to notify you when applications try to make changes to your computer, but you can change how often UAC notifies you. UAC makes it possible for an account with administrative rights to be treated as a standard user non-administrator account until full rights, also called elevation, is requested and approved. For example, UAC lets an administrator enter credentials during a non-administrator's user session to perform occasional administrative tasks without having to switch users, sign out, or use the Run as command. In addition, UAC can require administrators to specifically approve applications that make system-wide changes before those applications are granted permission to run, even in the administrator's user session. For example, a default feature of UAC is shown when a local account signs in from a remote computer by using Network logon (for example, by using NET.EXE USE). In this instance, it is issued a standard user token with no administrative rights, but without the ability to request or receive elevation. Consequently, local accounts that sign in by using Network logon cannot access administrative shares such as C$, or ADMIN$, or perform any remote administration. For more information about UAC, see User Account Control. The following table shows the Group Policy and registry settings that are used to enforce local account restrictions for remote access. You can also enforce the default for LocalAccountTokenFilterPolicy by using the custom ADMX in Security Templates. Start the Group Policy Management Console (GPMC). In the console tree, expand <Forest>\Domains\<Domain>, and then Group Policy Objects where forest is the name of the forest, and domain is the name of the domain where you want to set the Group Policy Object (GPO). In the console tree, right-click Group Policy Objects, and > New. In the New GPO dialog box, type <gpo_name>, and > OK where gpo_name is the name of the new GPO. The GPO name indicates that the GPO is used to restrict local administrator rights from being carried over to another computer. In the details pane, right-click <gpo_name>, and > Edit. Navigate to the Computer Configuration\Windows Settings\Security Settings\Local Policies\, and > Security Options. Double-click User Account Control: Run all administrators in Admin Approval Mode > Enabled > OK.
Double-click User Account Control: Admin Approval Mode for the Built-in Administrator account > Enabled > OK.
Navigate to Computer Configuration\Preferences and Windows Settings, and > Registry. Right-click Registry, and > New > Registry Item. In the New Registry Properties dialog box, on the General tab, change the setting in the Action box to Replace. Ensure that the Hive box is set to HKEY_LOCAL_MACHINE. Click (…), browse to the following location for Key Path > Select for: SOFTWARE\Microsoft\Windows\CurrentVersion\Policies\System. In the Value name area, type LocalAccountTokenFilterPolicy. In the Value type box, from the drop-down list, select REG_DWORD to change the value. In the Value data box, ensure that the value is set to 0. Verify this configuration, and > OK.
Navigate to the <Forest>\Domains\<Domain>\OU path. Right-click the Workstations OU, and > Link an existing GPO. Select the GPO that you just created, and > OK.
Test the functionality of enterprise applications on the workstations in that first OU and resolve any issues caused by the new policy. Create links to all other OUs that contain workstations. Create links to all other OUs that contain servers. Denying local accounts the ability to perform network logons can help prevent a local account password hash from being reused in a malicious attack. This procedure helps to prevent lateral movement by ensuring that the credentials for local accounts that are stolen from a compromised operating system cannot be used to compromise additional computers that use the same credentials. In order to perform this procedure, you must first identify the name of the local, default Administrator account, which might not be the default user name "Administrator", and any other accounts that are members of the local Administrators group. The following table shows the Group Policy settings that are used to deny network logon for all local Administrator accounts. In the console tree, expand <Forest>\Domains\<Domain>, and then Group Policy Objects, where forest is the name of the forest, and domain is the name of the domain where you want to set the Group Policy Object (GPO). In the New GPO dialog box, type <gpo_name>, and then > OK where gpo_name is the name of the new GPO indicates that it is being used to restrict the local administrative accounts from interactively signing in to the computer. Navigate to the Computer Configuration\Windows Settings\Security Settings\, and > User Rights Assignment. Double-click Deny access to this computer from the network. Click Add User or Group, type Local account and member of Administrators group, and > OK.
Navigate to Computer Configuration\Policies\Windows Settings and Local Policies, and then click User Rights Assignment. Double-click Deny log on through Remote Desktop Services. Click Add User or Group, type type Local account and member of Administrators group, and > OK.
You might have to create a separate GPO if the user name of the default Administrator account is different on workstations and servers. Passwords should be unique per individual account. While this is generally true for individual user accounts, many enterprises have identical passwords for common local accounts, such as the default Administrator account. This also occurs when the same passwords are used for local accounts during operating system deployments. Passwords that are left unchanged or changed synchronously to keep them identical add a significant risk for organizations. Randomizing the passwords mitigates "pass-the-hash" attacks by using different passwords for local accounts, which hampers the ability of malicious users to use password hashes of those accounts to compromise other computers. Purchasing and implementing an enterprise tool to accomplish this task. These tools are commonly referred to as "privileged password management" tools. Configuring Local Administrator Password Solution (LAPS) to accomplish this task. Creating and implementing a custom script or solution to randomize local account passwords. The following resources provide additional information about technologies that are related to local accounts.